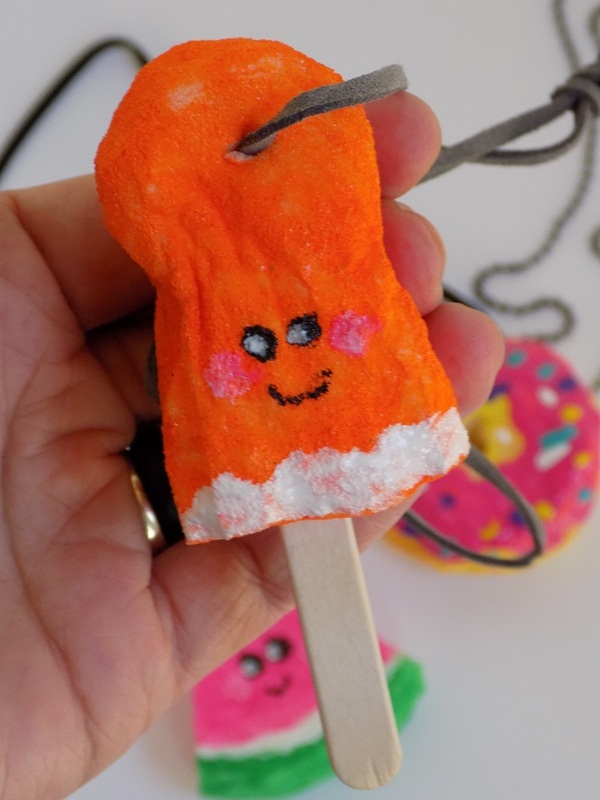 One Savvy Mom ™ | NYC Area Mom Blog: DIY Squishies Necklaces + How To Make Your Own Squishy Toys! DIY Squishies Necklaces + How To Make Your Own Squishy Toys! Squishies! 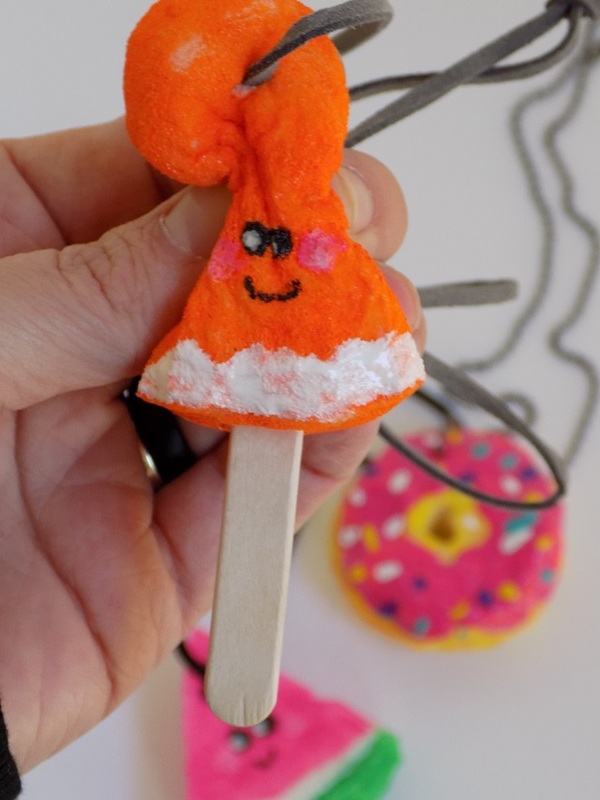 Did you know you can make your own DIY Squishies toys? We made these adorable DIY slow-rising Squishies necklaces last weekend, and I think they turned out super cute! Not bad for a first try at all! Friends, honestly, I didn't even really know what a Squishy toy was, until my tween recently introduced me to the trend. After her quick briefing on the hot new Squishies toy craze, I promptly responded with..."Oh! You mean a stress ball?!" Apparently, no. Just no. She gave me some serious side-eye on that one! That's what they used to call these types of toys back in the day....my day? Oh' lord. I feel old! 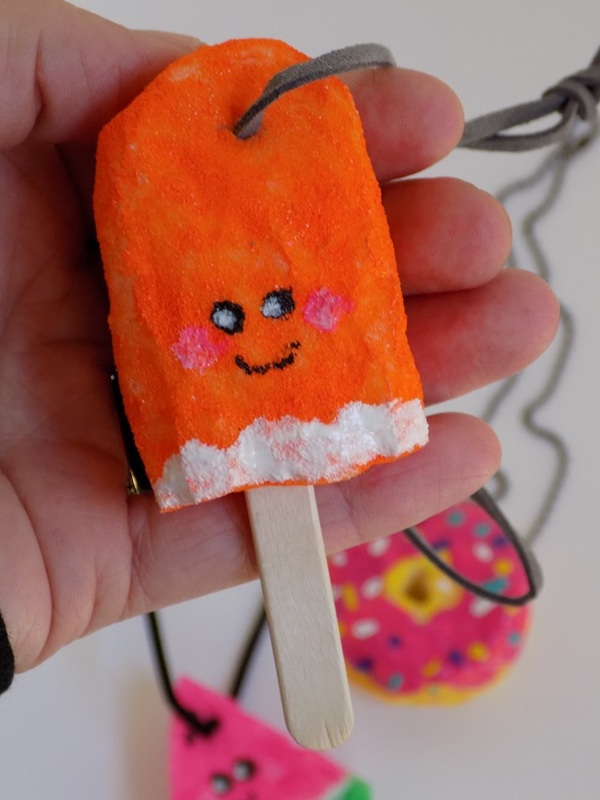 Anyway, after filling me in on Squishies, she promptly requested that we make our own DIY Squishies toys, and some DIY Squishies necklaces, and DIY Squishies key chains .... basically ALL things Squishies. My response? Ok. But, really? HOW?! After a bit of research (more like a quick Google) I set off to the store to grab the materials. 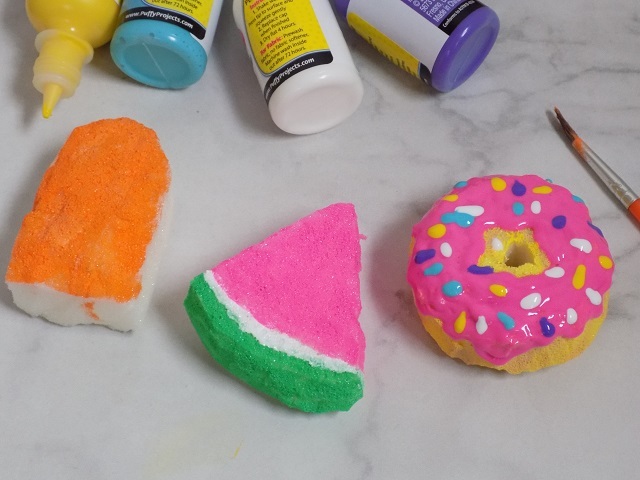 And as it turns out, DIY Squishies are surprisingly easy to make. No, really! I promise. Super simple! Grab the supply list, and check out our easy tutorial on how you can make your own DIY Squishies Necklaces and Squishy Toys, below. A pencil for tracing out your desired shape(s) on memory foam. If using a memory foam pillow like the one that we picked up at Walmart, start by cutting off the fabric cover. Next, you'll want to start cutting down the foam into small blocks - which makes them easier to trim / cut down into small shapes. We cut the entire pillow down into 12 blocks of foam. Trim the coating off of the outer edges (this is a slick coating that they use to seal the memory foam pillow.) You need to trim the coating off, or the fabric paint won't adhere/blend into the memory foam. Now, you're ready to trim down your foam into your desired shapes. Pinch the foam as you're cutting. This makes it easier for your scissors to pass through the dense foam. You can make whatever shapes you'd like. 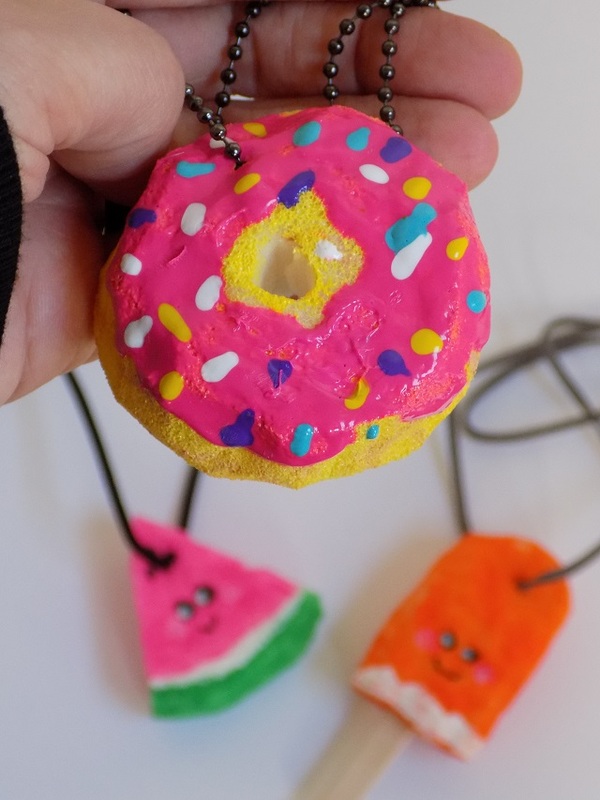 To make the pictured Squishies necklaces, we made fairly small shapes to create our Donut, Watermelon, and Popsicle DIY Squishies necklace "charms." Each shape was no larger than 3 inches. If you're making larger DIY Squishies toys, simply make your Squishy shape larger. Allow your DIY Squishies necklace "charms" / DIY Squishies toys to dry for about 24 hours, before squishing / playing with them. To create DIY Squishies necklaces, simply punch a whole ( very carefully) using the tip of your craft scissors about 1 inch from the top of your DIY Squishies necklace "charms." Once you've created a small whole in each of your Squishies, simply feed leather cord, or a beaded chain through your Squishies charms. If using leather cord, cut to the desired length and tie off at ends. Wear or gift your completed DIY Squishies Necklaces. Enjoy! This is such an awesome idea. My kids love crafting. Such a perfect craft for a rainy/snowy day. Perfect craft for a rainy / snowy day :) Definitely a craft that keeps the kids occupied for a good amount of time! My daughter would love to both make and wear these! What a great idea for crafting with kids. Thanks:) So fun + so simple! Oh how fun!!! Our little one loves the squishies...I have to try making some with him! So fun! My daughter loves squishies so we will definitely try this. Oh--that is such a fun and cute idea! I know these are so popular these days and this is much more economical! SO popular! This definitely is far more economical .... you could literally make 100's of these from 1 $10 piece of memory foam :) Happy crafting!